1. Do your homework! Call salons, look at reviews in your area and ask if a specific colorist is a red hair color expert. 2. Visit your colorist for a consultation. Most salons offer complementary consultations. Utilize this so that you book the right amount of time with your colorist. This also sets the stage for smooth sailing the day of your color service. 3. Think about maintenance and lifestyle. I would never want to give a client red hair if they were not going to keep up with it; no care can result is bad-looking growth. 4. The goal is to find the right shade, level, and tone that looks good with your complexion and skin tone. 5. Knowledge is power, becoming a redhead 101. One of the vital questions I ask my client is how often they want to visit their salon for upkeep. This maintenance can take extra time, products, and money, especially in the beginning. Talk to your colorist about your lifestyle, budget, and what to expect with keeping your new red locks. 6. Spill it girl! Another important tip is to talk about with your stylist about your hair history. Your stylist should know everything you have used on your hair to change its color and/or texture. Certain dye molecules don’t play nice with others, so spill the details. 7. Bring in photos. 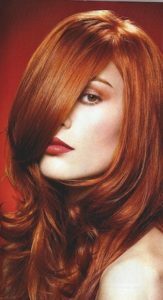 Red hair color can vary dramatically from a violet-red mahogany master piece, to vibrant copper, to a soft strawberry blonde. Subtle to stunning reds vary, so nailing down the perfect red for you takes some contemplation. 8. How dimensional are you? I’m talking highlighting and low-lighting. A general rule is to stay within 2 levels of each other. 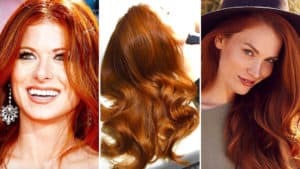 Whether it be a sun-glitzed glimmer of gold mixed in with your copper locks, or a brighter popof a violet red lowlight in a subtle auburn base have fun with dimension. 9. Gloss it! Ask your colorist to do a clear gloss your color. This will seal in your redheaded masterpiece and extend the life of your color. Not to mention added shine and luster. 10. Buy your insurance. 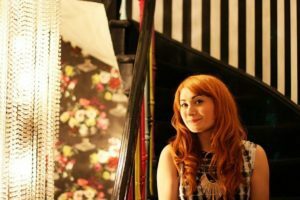 You have just spent good money on your new redhead identity, be sure to do what you can to keep it looking amazing. Take your colorists suggestions on what products will prevent your red hair from fading.